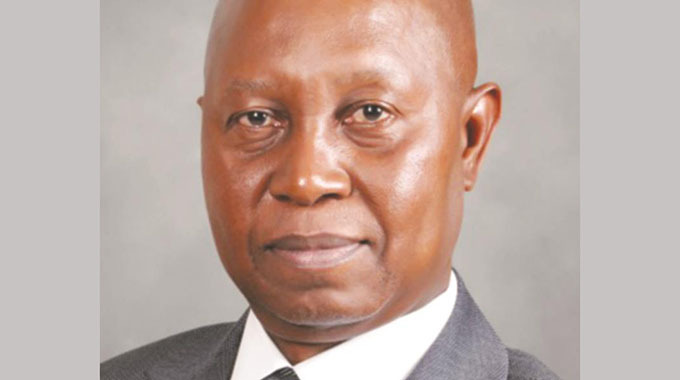 FORMER Zimbabwe Revenue Authority (Zimra) commissioner general Gershem Takavada Pasi was yesterday brought before the court on charges of criminal abuse of office after he allegedly engaged a third party in the acquisition of an Information Management System (IMS) thereby prejudicing ZIMRA of close to $12million. Pasi (59) had previously sought authority from the State Procurement Board to have direct engagement and it was granted. The involvement of the third party led to the inflating of prices of this (IMS) from $11 819 000 to $32 649 939. He appeared before chief magistrate Mr Mishrod Guvamombe who remanded him out of custody on condition he pays $2000 bail. Pasi was ordered to surrender title deeds valued at $150 000 and the matter was remanded to November 22. He was also ordered to surrender his passport to the clerk of court, report twice a week at Borrowdale Police Station, continue residing at the given address and not to interfere with witnesses. Prosecuting, Mrs Veneranda Munyoro had proposed that Pasi deposits $5 000 bail and provide surety in the sum of $200 000. Through his lawyers Messrs Farai Mushoriwa and Innocent Chingaranda, Pasi argued that he was unemployed and that his daughter who was not identified in court will deposit the bail. The purpose of the visit was to affirm input capabilities in the information technologies domain in implementing prioritised e-government projects. During the visit, various Government departments had an opportunity to interact with Inspur personnel who demonstrated these capabilities. An action plan for the implementation of the agreed programme was also signed and Pasi began his engagement with Inspur Zimbabwe for the Information Management Systems (IMS) design and development. Pasi formed a committee at Zimra for designing the system and drawing specifications of the project to be supplied. The ICT department being headed by Tyiyapo Velempini was involved in the designing of the system together with engineers from Inspur Global. In June 2014, Zimra and Inspur agreed on specifications and Pasi allegedly failed to get quotations from Inspur Zimbabwe. He instead took the system design to Righlux Services, a company distributing Inspur products despite permission for a direct engagement. On July 1, 2014, Righlux Services supplied a $32 649 939. 97 quotation which it purported to be from Inspur Group of China. After the State Procurement Board had given no objection for direct engagement, Pasi went on to sign a $32 649 939. 97 contract with Righlux Services which reflected that the company was to supply, deliver, install and commission the e-taxation system at Zimra. Through its parent company Welkin Import and Export , Righlux Services signed a $11 819 000 contract with Inspur Global for the supply, delivery and installation of hardware, equipment software e-taxation system which was actually designed by Inspur Zimbabwe and Zimra ICT personnel and had been given authority for direct engagement. Inspur directly supplied the IMS system to Zimra, with a cost of $11 819 000-00, Righlux Services acted as an intermediary yet the work was done by personnel within the country. Zimra paid $23 763 780.65 to Righlux Services instead of $11 819 000 it should have paid had Pasi directly engaged the company. Every day someone else has stolen a few million, no wonder there is no money for hospitals and drugs for the ordinary Zimbabwean. As Collector of Customs and Excise, Harare I kept graphs of various revenue flows on the wall in my office where all senior staff could see them. Any unexplained drops in any of the revenue flows would be investigated. This measure was in addition to the standard checks laid down in Treasury Instructions. One shift at the Airport banked much less foreign exchange than the others, the consequent investigation resulted in the culprit being found and fired. Nkala, Mnangagwa and especially Obert Mpofu were responsible for destroying the professionalism of the revenue collecting agencies of government. You reap what you sow.